We offer a complete line of grooming services. We recommend you look at various haircuts available for your pet and work with the groomer to find a style that is convenient for you and your pet. Not every hair style looks good on every pet, and some traditional styles, may not be good for your lifestyle (long hair on a Maltese that likes to splash in the mud.) Also please remember that certain styles can only be achieved by diligent and routine professional grooming. If your pet is all matted and tangled or has serious skin problems, it may be easiest to give them a crew-cut first, and then work towards a style as the hair grows back. 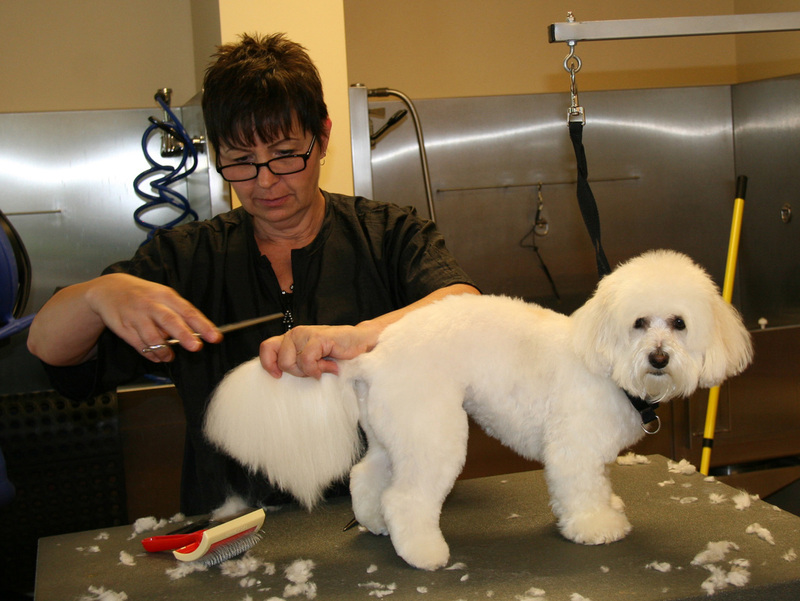 Our groomers are trained to bring to the doctor’s attention health problems that they notice, and can use specially medicated shampoos on your pet, with the doctor’s permission.